It is difficult to imagine the amount of work that goes into making the tea we drink. 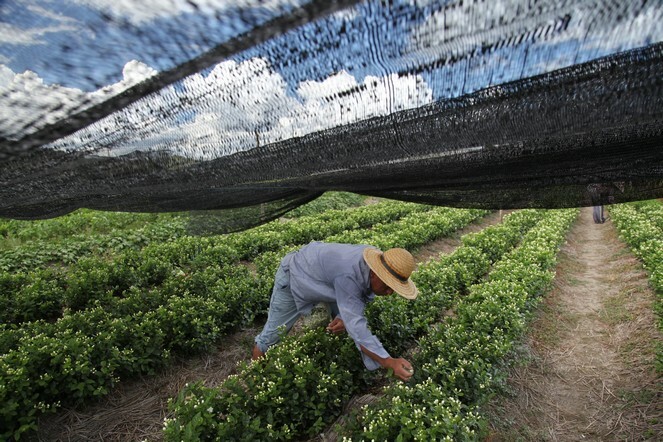 To produce one kilo of a top quality jasmine tea, for example, it takes 2.5 kilos of jasmine flowers, no less. With 100 flowers, you can make just 25 grams. So no fewer than 10,000 flowers, individually picked by hand, are needed to scent a kilo of tea. And the plucking of flowers in the time-honoured tradition, which I witnessed last week in southern China, sometimes takes place in scorching temperatures.